Painted Dialogue celebrates in the form of an artistic retrospective the past twenty-plus years of paintings of Michael Von Helms. 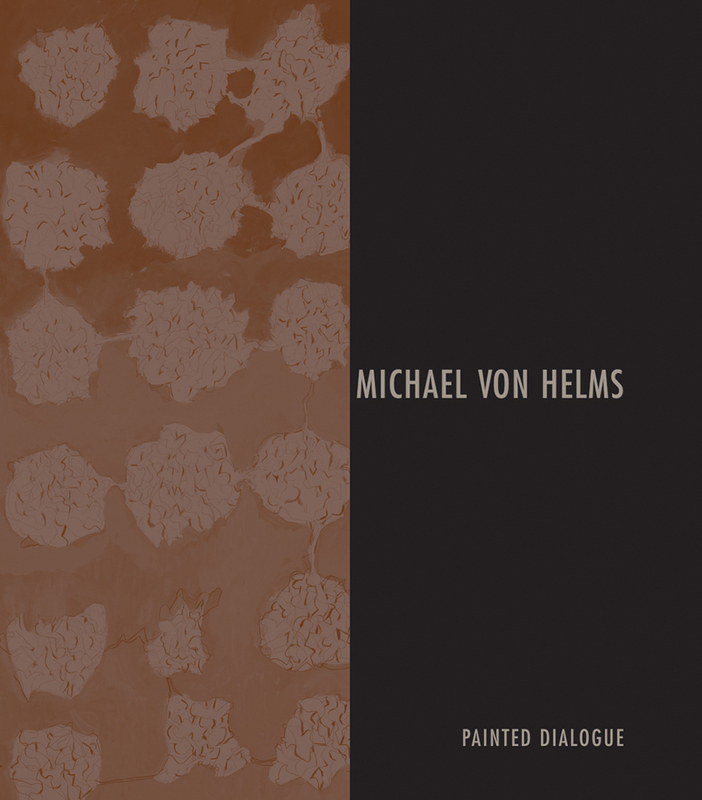 A non-figurative abstractionist, Von Helms describes his paintings as dialogs between his inner self and a higher power. Upon entering his studio, Von Helms forgets everything but that which is before him and draws no references from anything but the canvases on which he paints. He surrenders himself to the journey for he says, "In the end it is not about attaining, but more about attempting. In my attempt I come face to face with the old realities of myself, and then, through 'hard payment' rearrange and reconfigure simultaneously my inner self and the two dimensional surface of the work in progress." The evolution of Von Helms's work has moved from the straight, simple yet dramatic petroglyph-like images of the '80s into the sophisticated, energetic bold-color canvasses of the '90s. Today he may repaint a single canvas as many as five times, giving his paintings a surface of thick and thin overlays with a palpable sense of edge and energy. Von Helms says, "When my process is pushed hard enough, long enough, the work and I seem to turn around a point and slip into a state of resolution. The curtain comes down, the play is finished. For the moment, all confusion, unknowing, and tension has been exhausted. Darkness is made visible. The emotions within me, the world outside, and the painting are all, at last, united. There is communication. It becomes a kind of salvation." E. Luanne McKinnon is curator of exhibitions at the Cornell Fine Arts Museum at Rollins College in Winter Park, Florida. Ms. McKinnon, who specializes in twentieth-century abstraction, is listed in Who's Who in American Women, was director of contemporary art at the ACA Galleries in New York, a curatorial fellow at Bayly Art Museum in Virginia, and a research assistant at the National Gallery of Art in Washington, D.C., where she did independent research for the exhibition "Picasso: The Early Years." Her work as research assistant for Robert Rauschenberg culminated in a large-scale exhibition at the National Gallery.